KILLYOURPHONE.COM is an open workshop format. Participants are invited to make their own signal blocking phone pouch. In the pouch the phone can't send or receive any signals. It is dead! 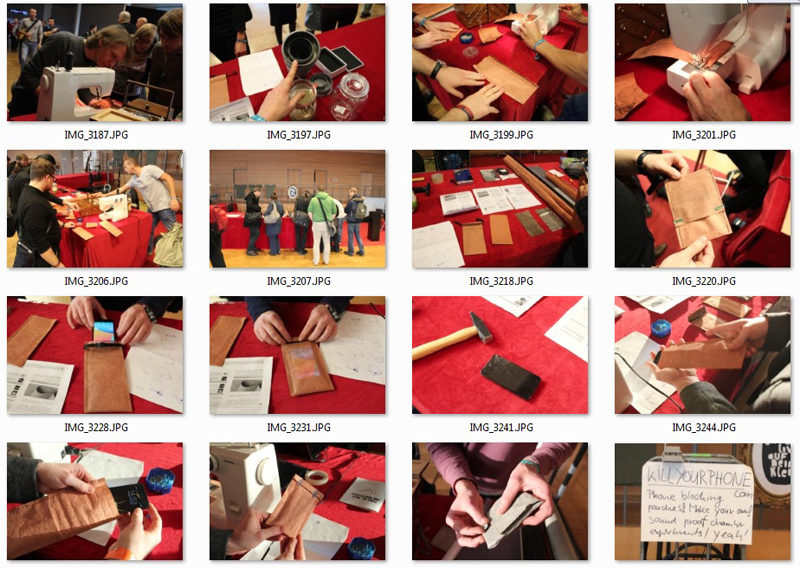 This workshop was run for the first time at the Chaos Communication Congress in Hamburg end of 2013. You can run this workshop yourself at your place with friends and neighbors, at the school, community center etc... Protect your privacy! Discuss surveillance and learn how to sew! Run your own KILLYOURPHONE.COM workshop! Find an event/ place to run the workshop. Announce the workshop to your friends! Tools you'll need for the workshop: a sewing machine incl. the typical supplies like needles, thread, scissors. To cut the fleece i recommend stanley knife, ruler and cutting mat. Buy some meter of shielding fleece online. Search for HF+LF Shielding Fleece (HF+NF Abschirmvlies)! Cost: per m² ca 10 to 30,- €. At my workshops participants can get a piece of fleece for 2 to 3,- € material costs refund. Run your own workshop! If you don't know (or remember) how to handle a sewing machine try to get support from a 'professional' or find a tutorial online! KILLYOURPHONE.COM workshop at 30C3: 30th Chaos Communication Congress, December 27-30, 2013 Hamburg, https://events.ccc.de/congress/2013/wiki/Projects:Kill_Your_Phone! "Open workshop to passively block your phone from sending and receiving. 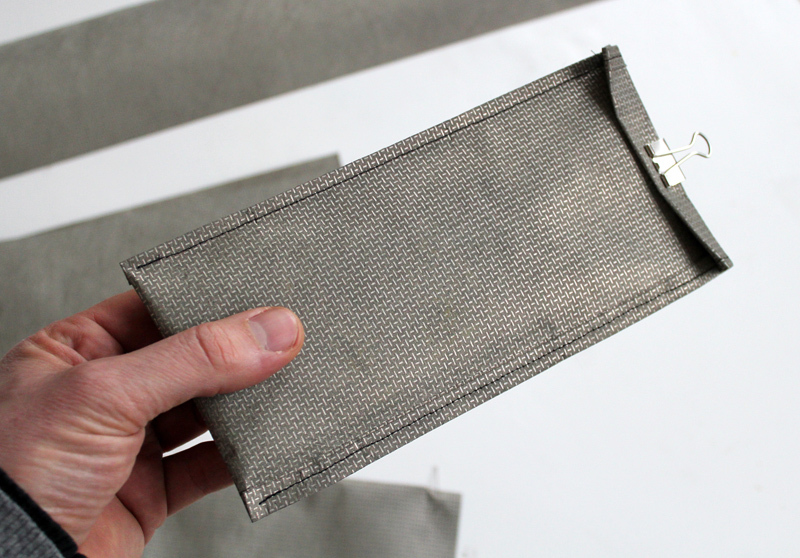 Make your own signal blocking Faraday pouch! How to wrap your phone to kill any wireless connection? How to pack your phone so it can't record any sound? Which materials work best? Where to get them? What are the cheapest and fastest solutions? We have cloths, tools and a sewing machine. Feel free to join! Bring your own stuff!" May 6, 2014, 11:00 am - 6:00 pm at re-publica conference, Berlin. The pouch has a very simple design. Of course you are invited make something more fashionable but this version is very easy to make and it works. Make it any size you want! (Tablet etc) To make it fit most common current smart phones I usually make the pouch 10 x 20 cm. IMPORTANT: What ever you do make sure you fold the material on all sides to make sure the radio waves can't get through!! Cut 12 cm stripes from your roll blocking fleece. Fold again the long sides, each 1 cm and pin them with needles. Sew two straight seams on the left and right side. Fold the opening at least 2 times! 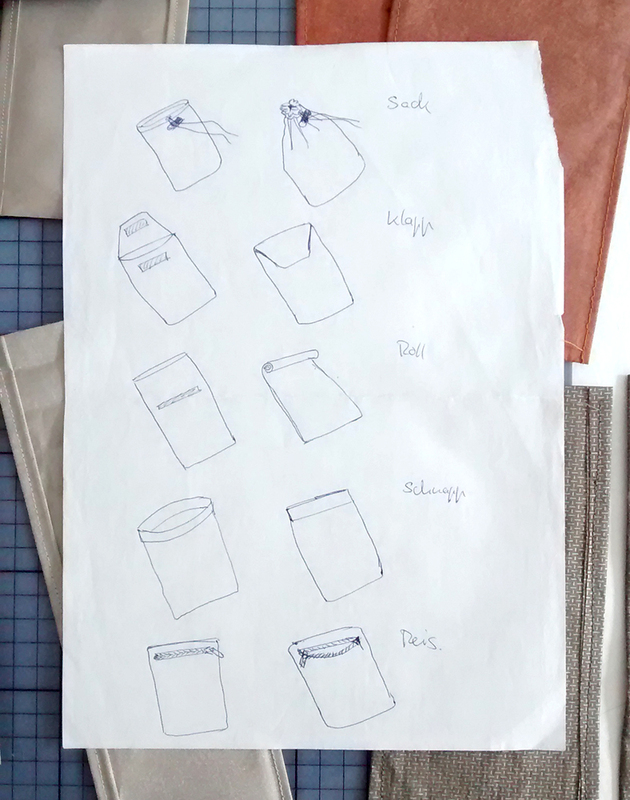 Find a paper clip or clamp to close the pouch. Why can't I just turn off my phone? Yes, of course you should but nowadays we can't really say any more if a phone is actually turned off when you power it down. The alarm still works, right? Also, you can't take out the battery any more of most current devices. Read this to get an idea what s going on. Yes, it does! It works very well for a whole bunch of frequencies depending on which material you got. If you want to make sure it is also strong against close up wifi signals I recommend sewing a double layer pouch. Test it! The material is a copper or silver coated cloth or fleece especially developed for electromagnetic protection. 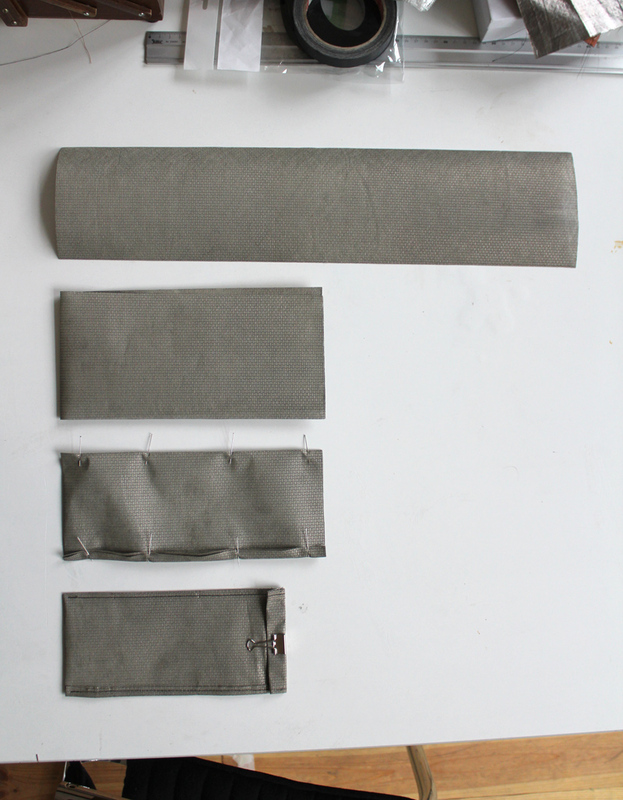 As a pouch it forms a Faraday cage which blocks all electromagnetic radiation (radio waves). Usually it is used in military or aviation . When you sit next to a strong radar antenna you better want to isolate the wall to not get grilled. Does the material also shield RFID chips in passports? Yes, it does. Since the RFID chips are usually powered passively the signal strength is much lower. RFID is in general much easier to kill than GSM and other signals. Where to get the material? Do I need a special thread to sew a blocking pouch? No, you don't. But it is important to fold the fleece on all sides do no radio waves can escape the Faraday cage. Can I run my own KILLYOUPHONE workshop? Yes sure! Run your own signal blocking pouches workshop in your neighborhood, club, festival etc...& thx for linking to this website! What about isolating your phone acoustically so it can't record any sound? Once a third party has installed a trojan on your phone it is capable to run any software on your phone. 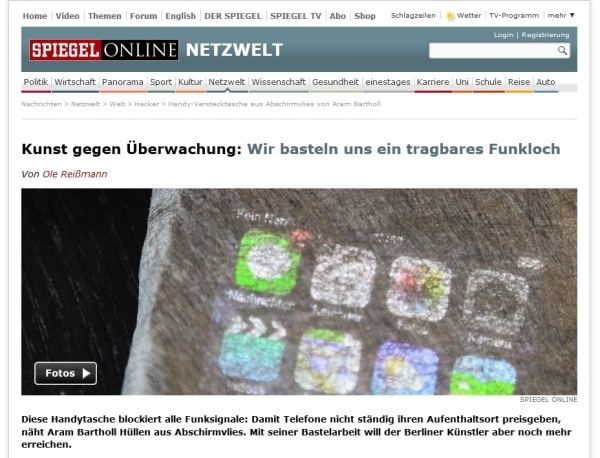 When your phone is in the blocking pouch it is not connected to any network but in case of a trojan it still could record sound (i.e. a conversation) and send it later. To prevent this the phone needed to be isolated acoustically. A simple solutions for this is a bottling jar or more effectively double plastic pipes used in plumming. Attention! : Some of these design proposal might be problematic in terms of shielding. ie. the zipper would need extra cover etc.